Reverend L. C. Campbell, Sr. Celebrating the life of Reverend L. C. Campbell, Sr.
Be the first to share your favorite memory, photo or story of Reverend L.. This memorial page is dedicated for family, friends and future generations to celebrate the life of their loved one. Obituary for Reverend L. C. Campbell, Sr.
On October 22, 1927, a set of identical twins boys was born to the late Mable Campbell Russet one which she named Lawrence Curtis Campbell. He was reared in the Sealy community, attended public school at Austin County High in Sealy, Texas. In 1946 L. C. Campbell became a member of the Army of the United States of America receiving an Honorable Discharge. Reverend Campbell answered his call to preach at a young age. He served as pastor of New Prairie View Baptist Church, San Felipe, Texas for nine years, under his leadership, the church cornerstone was installed. From November 1974 to July 1987 he served at Pleasant Hill Missionary Baptist Church, Weimar Texas where he was committed to saving souls and inspiring others with his faith. Reverend Campbell was a strong messenger for Christ. Reverend Campbell served as Moderator for the Wiley Chapter District Association and the Mt Zion Lively Hope Missionary District Association for a number of years. In 2003, Reverend Campbell returned to New Prairie View Baptist Church where he served as an associate minister under the leadership of Pastor Charles Tompkins, Jr.
Reverend Campbell met and married Annie Bell Porter, two children blessed this union, son, Lawrence “Larry” Campbell Jr. and daughter, Barbara Lorraine Campbell-Ames. He later married Ellen Smith, two children blessed this union, son, Charles D. Campbell and daughter, Wilma Laverne Campbell. He married Rose Mae Miller and to this union they were blessed with three children, two sons, Reverend Danny Ray Campbell and Kenneth Wayne Campbell, and one daughter, Donna Marie Campbell. Reverend Campbell is preceded in death by his parent, Mable Russett, brother, Andrew Charles Campbell, daughter, Wilma Laverne Campbell and son Reverend Danny Ray Campbell. 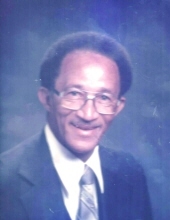 He leaves to cherish his life and many fond memories; three sons, Larry Campbell, Jr. (Myrtle), Charles D. Campbell (Linda), Kenneth W. Campbell and two daughters, Barbara Lorraine Campbell-Ames, and Donna Marie Campbell (Jolly), 37 grandchildren and 23 great-grandchildren and 5 great-great grandchildren. To send flowers or a remembrance gift to the family of Reverend L. C. Campbell, Sr., please visit our Tribute Store. "Email Address" would like to share the life celebration of Reverend L. C. Campbell, Sr.. Click on the "link" to go to share a favorite memory or leave a condolence message for the family.